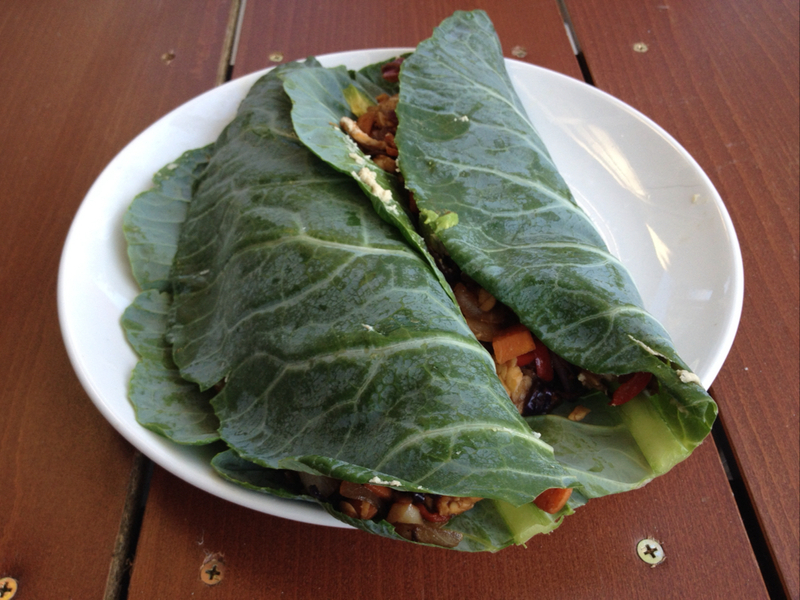 Using Collard green leaves as a tortilla accomplishes many goals. First, they’re really sturdy and don’t break easily, meaning you can pile on the ingredients. Second, they’re an easy way to add more greens into your life. More greens means more nutrients. Third, if you’re trying to lose weight, skipping the tortilla can make a BIG difference. 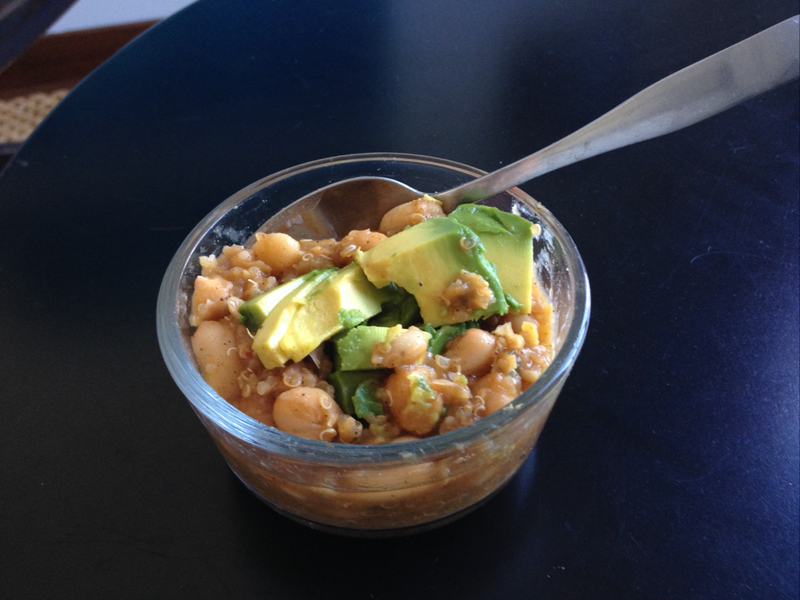 This recipe is easy, and the iterations are limitless. Try this one out and then experiment! Heat oil over medium heat, then add onion, bell pepper, carrot, and garlic. Sautee for about 8-10 minutes or until onion starts to become translucent. Add tempeh, cabbage and soy sauce. May add small amounts of water to keep it from sticking/burning. You may carefully slice the spine of the collard leaf to make it more pliable, take care not to break the leaf. 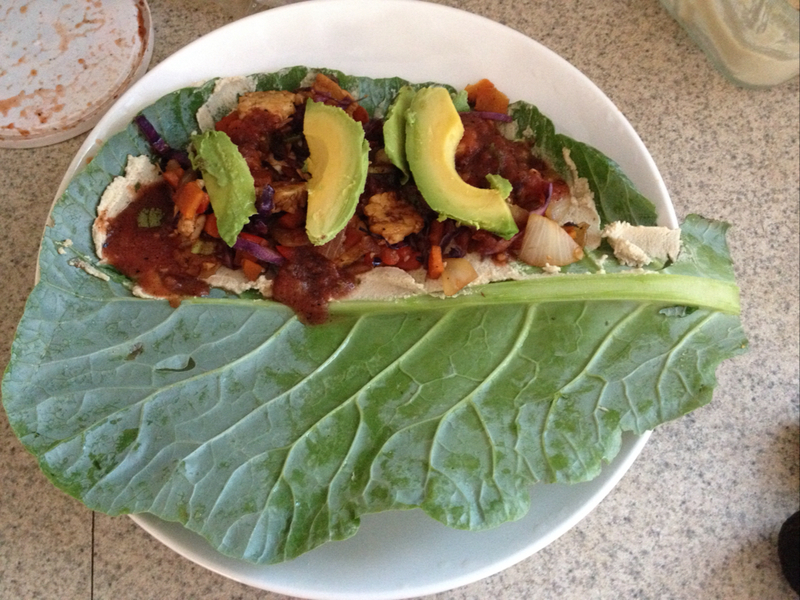 Assemble the burrito, spread ¼ of the nut “cheese on one half, top with ¼ of the tempeh/veggie mixture, smear with salsa, and garnish with a few slices avocado.